If you follow me on social media you would’ve seen that in October 2017 I found out I got a ballot place for the 2018 London Marathon! Now let me take you on the journey of how this exactly happened. At the start of the year (2017), on a total quarter life crisis type whim, I thought it would be a great idea to enter the ballot for the London Marathon because like a gajillion people apply, and try and try to get a place for years and don’t. There was NO way I would get a place. Right?. Wrong. SO fast forward to October and the day people found out if they got a ballot. I was at work and had seen on Twitter that some people had received the results magazine. Basically you receive a magazine that either says ‘you’re in’ or ‘you’re not’, kinda thing. However I was at work and the post hadn’t been yet and I was totally impatient so logged onto my online account to see if there were any kind of sneaky hints to see if you’d got in. I logged in and saw that i’d been given a bib number, and according to Twitter at the time this meant I had a place. However I didn’t get excited/MAJORLY freak out until I got that confirmation. And lo and behold I went home on my lunch break and a ‘you got in’ magazine was waiting for me. GREAT. 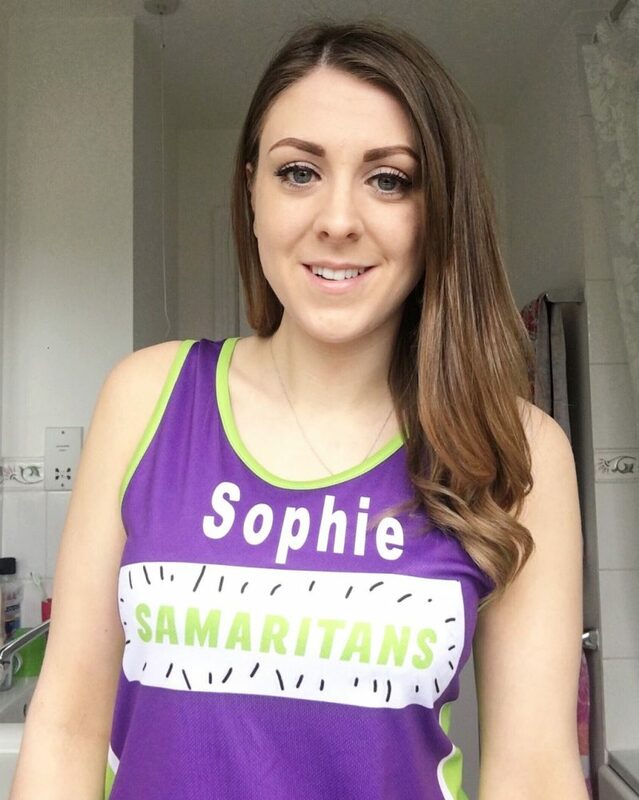 People try for decades to get a place and little old Sophie who’s never run before and used to try and get out of school cross country because of bad asthma is going to run 26.2 miles. A lot of people said I should defer, but I thought you know what – i’m going to grab this opportunity by the horns and get out there and smash this. Carpe Diem and all that. I thought that if I deferred and put it off for another year, i’d never get round to doing it. So I accepted my place and signed up with my first choice charity that I wanted to run for. Samaritans. I downloaded Couch to 5K and set out on my first ever run (walk with mild 1 min jogs) that very evening after work. Road users (cars and cyclists) are SO friendly. I’ve really started to appreciate the cars at road crossings that will slow down and let me cross rather than whizz past and leave me jogging on the spot like a lemon. I even had 2 buses totally stop and let me go at a really awkward 3 way junction the other day which is nice. I’ve also learnt so much about my body and in particular to listen to it. 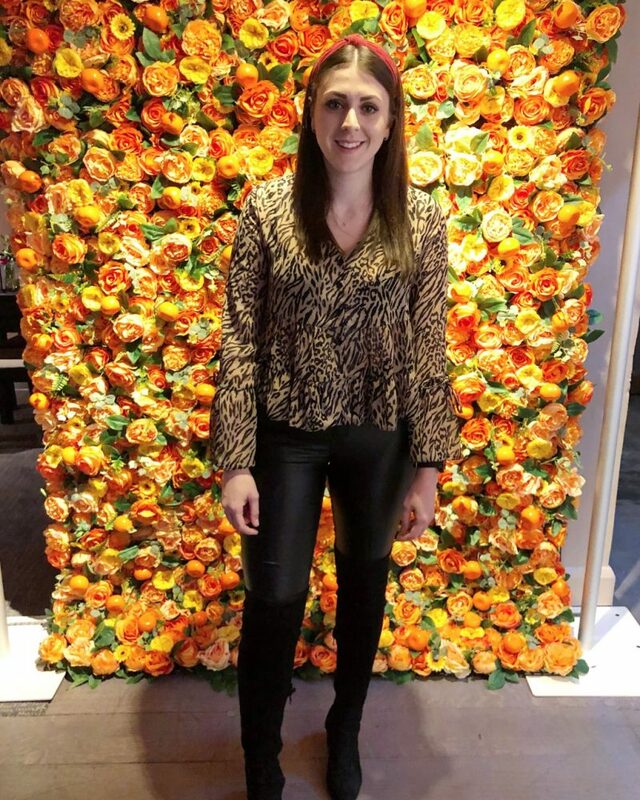 Whilst I am following a 16 week plan, I’ve been pretty flexible switching days around to suit my lifestyle and for days where I just don’t feel like it. I’d rather have an unplanned rest day then go out when I’m not feeling 100%. I’ve been surprised by how manageable it has been to start amping up the miles each week. It’s crazy what your body can adjust to and achieve. The Travelodge in Bracknell will nearly always have a puddle of vom outside of it on a Sunday morning. People really love to litter Fosters cans down empty long country lanes. That is my body can run, pretty much anyone sort of can. It’s all in your head so much more than you might think! My body sweats in weird places. I’m talking eyelids, the inside of my elbow and behind my ears. Its totally okay to scream along to Cascada whilst running, who cares what people driving past think. It’s also totally okay to be your own cheerleader. If i’m really struggling sometimes I literally started saying out loud ‘ COME ON SOPHIE YOU CAN DO THIS’, ‘PROVE ALL THOSE DOUBTERS WRONG’. and sometimes it sort of helps. On the whole I’ve learnt mostly positive things but there will always be a few people who can’t wait to dull your sparkle. And that’s something that in a weird little way spurs me on that little bit more. Even though i’m a novice to running and have only been training/running for 5 months there will always be those people who have never run, but love to tell you what distances you should be running and how often. This in particular has been my biggest frustration. I’m running the marathon as a total newbie to running. I started running the first week of October – just mastering a good 3-5 mile run. In January I then started a 16 week plan, of which I had extensively researched and asked friends who run about. I’m using 2 plans combined to make sure I’m reaching my full potential and you know what it’s working for me! So if you’re reading this and feeling the same, you listen to your body, you do your own research, and you run for you. If you have any marathon tips then please send them my way.